The Crochet Project have been working hard to completely transform the market and we are really pleased to be stocking two of their recently published books here at Spin A Yarn. Everyday Wearables harnesses Joanne’s in-depth understanding of how crochet fabric is created, the need for drape and takes fit and construction lessons from both knitwear and dressmaking. A world away from the lumpy garments so many people associate with crochet, she has created pieces that fit well and look great. The book is filled with extremely detailed and helpful photo tutorials, so it’s far more than the 8 patterns it contains – it would be a perfect gift for a novice to crochet who wants to start branching out into making garments. 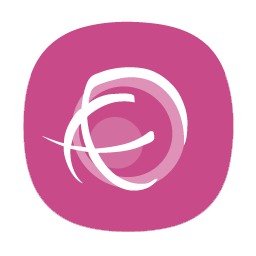 The Crochet Project are also known for their beautiful shawl collections. 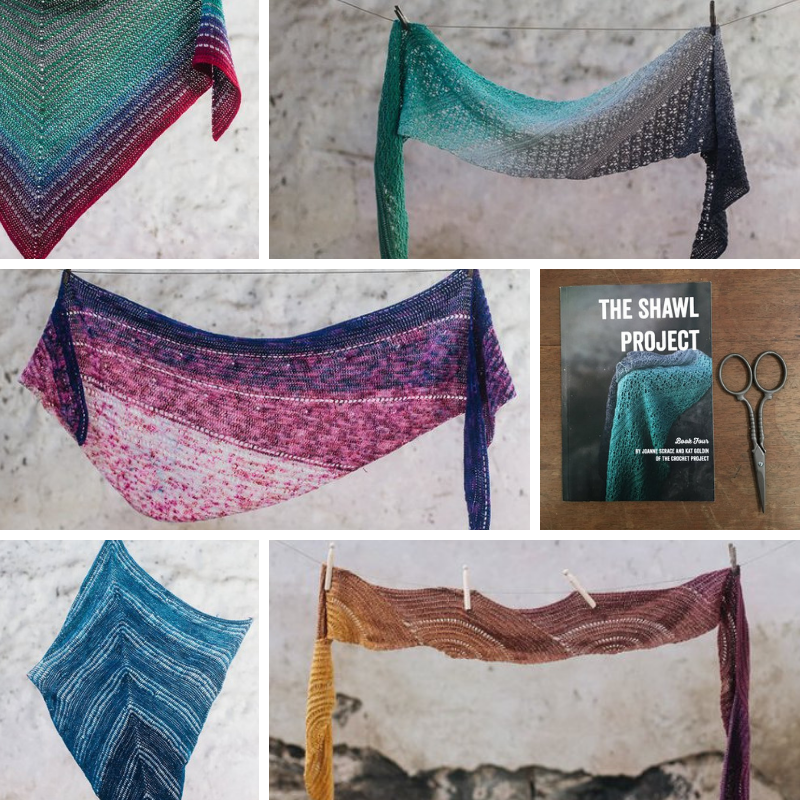 We have the fourth Shawl Project book in stock – this time they have focused on designs which make colour-shifting gradient yarns really sing. 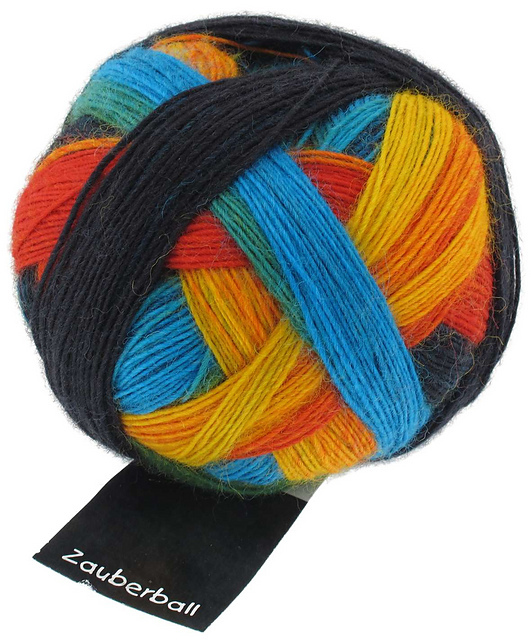 We have a huge selection of these yarns in stock – Schoppel Zauberball would be a perfect choice with their long gradients of colour throughout each ball. 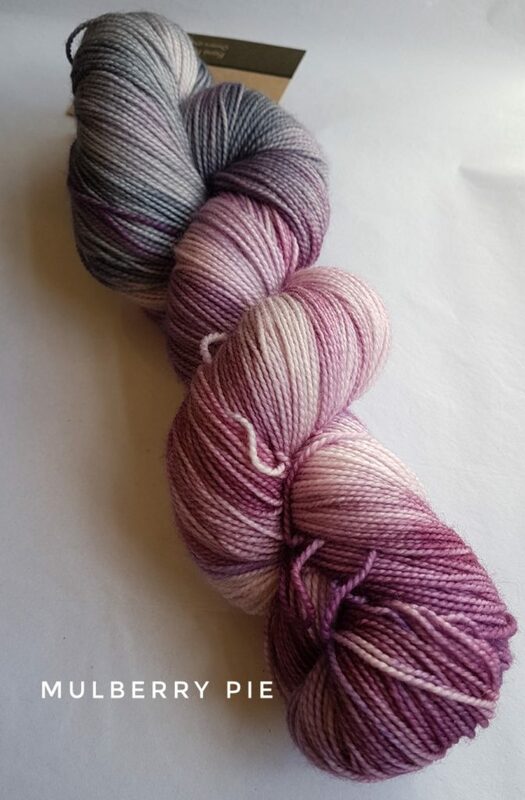 Or what about playing with one of our new Devon Indie-dyed Lilypond Yarns? Tunisian Crochet – the best of both worlds! 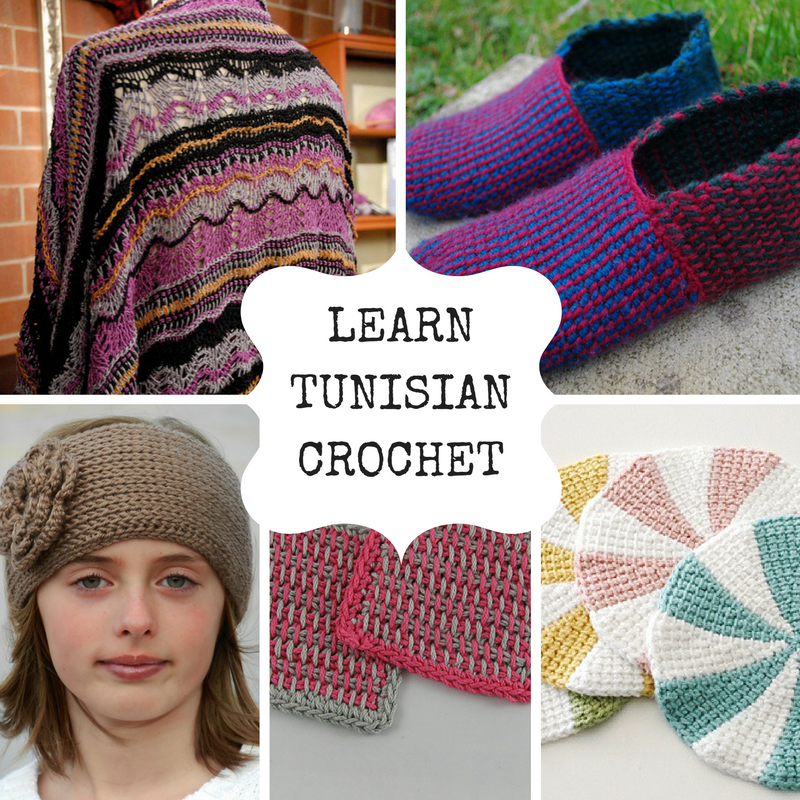 We’re often asked…what exactly is Tunisian crochet? Well, the short answer is that it is a craft that combines the best of knitting and crochet – you use a hook like crochet, but it’s as long as a knitting needle, and you keep a whole row of stitches on the hook, like knitting. 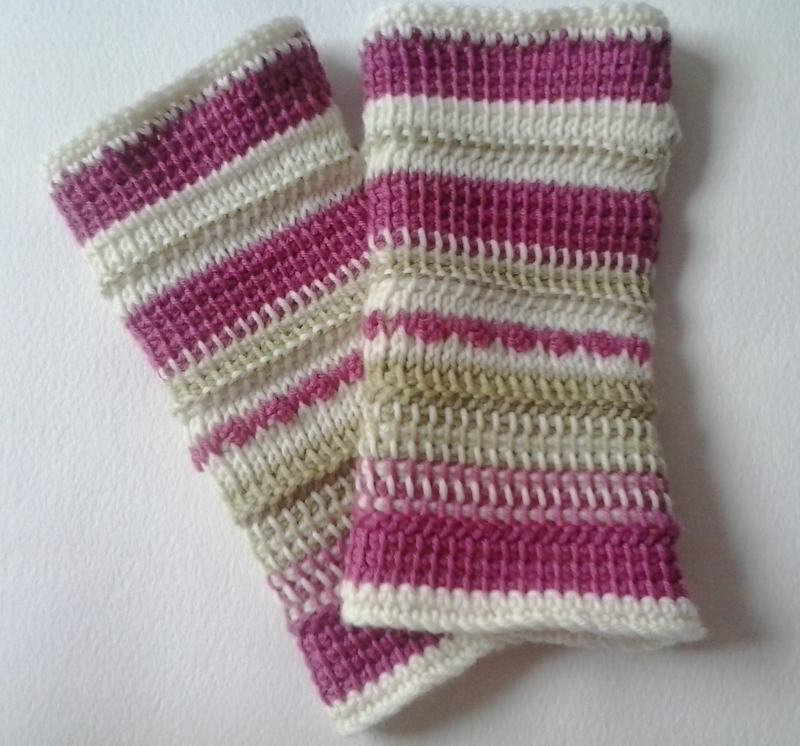 You can achieve many different stitches and effects, and even combine it with regular crochet. It produces quite a dense and textured fabric, which is great for making warm and cozy cowls and mitts, or even fabric for bags, purses and cushions. Why “Tunisian”? Well, the name is a bit misleading! It’s also been called over the years: Afghan Crochet, Shepherd’s Knitting, German Work, Railway Knitting (named after the girls on the trains going to work in English factories in the 1800s), Russian Work, Tricot Work, and many more. 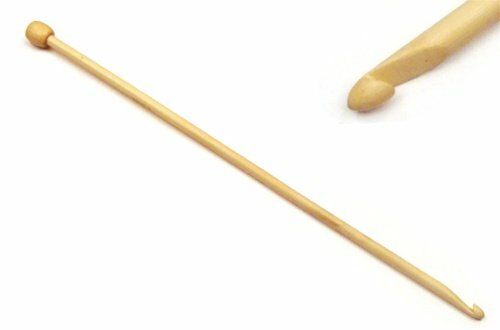 Some believe that the technique evolved from the ‘hook knitting’ of Egypt, Afghanistan, and Tunisia, which uses two long needles with hooked ends. We might guess from the terms ‘Afghan’ and ‘Tunisian’ that it originated in the Near East or northern Africa, but there’s not a lot of evidence to substantiate that. In fact, most believe that the term ‘Tunisian crochet’ was coined by the French. By the early 1800s directions for Tunisian stitches began appearing in publications for crocheters. It was used at the time primarily for blankets, as the dense stitches Tunisian lends itself so well to are ideal for creating warm layers. By the mid-19th century it was practiced in Western Europe and the British Isles (where, some claim, it was known as “Royal Princess Knitting” in honor of Victoria’s use of it). (Thanks to Crochetvolution blog for this fascinating info!). If you fancy learning being part of the great resurgence of interest in this wonderful craft, our lovely crochet teacher Di Stewart is running a workshop on Tuesday 13th March. There are still some place available so get in touch to book! 01626 836203.